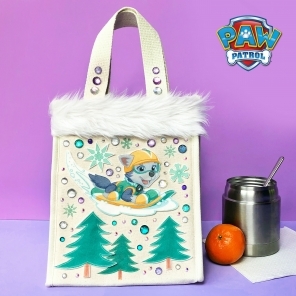 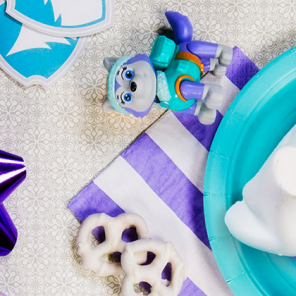 Throw a PAW Patrol Tracker Birthday Party! 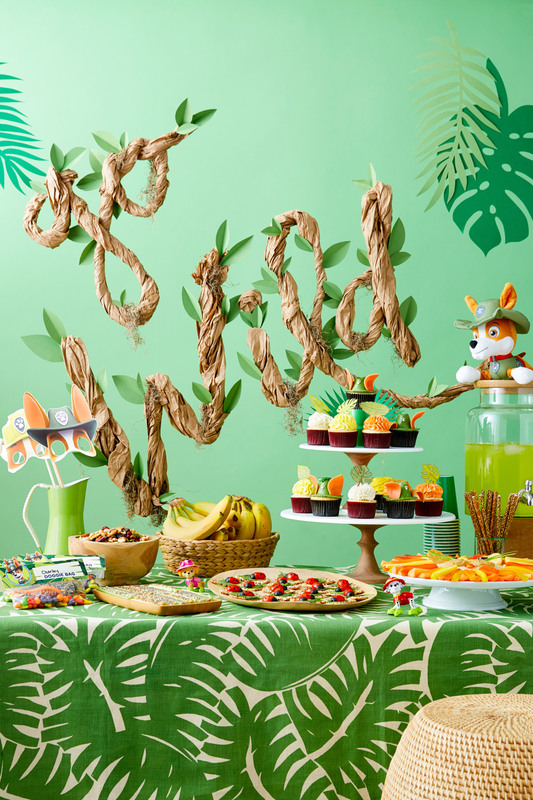 Kick off the celebration by inviting guests to “Go wild” for your child’s pup-themed party! 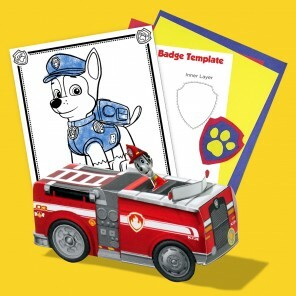 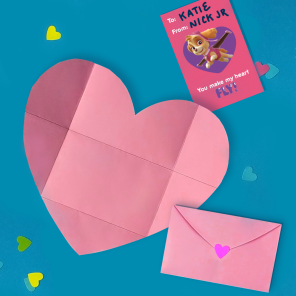 Print and cut these invitations and fill them out with your PAW Patrol fan. 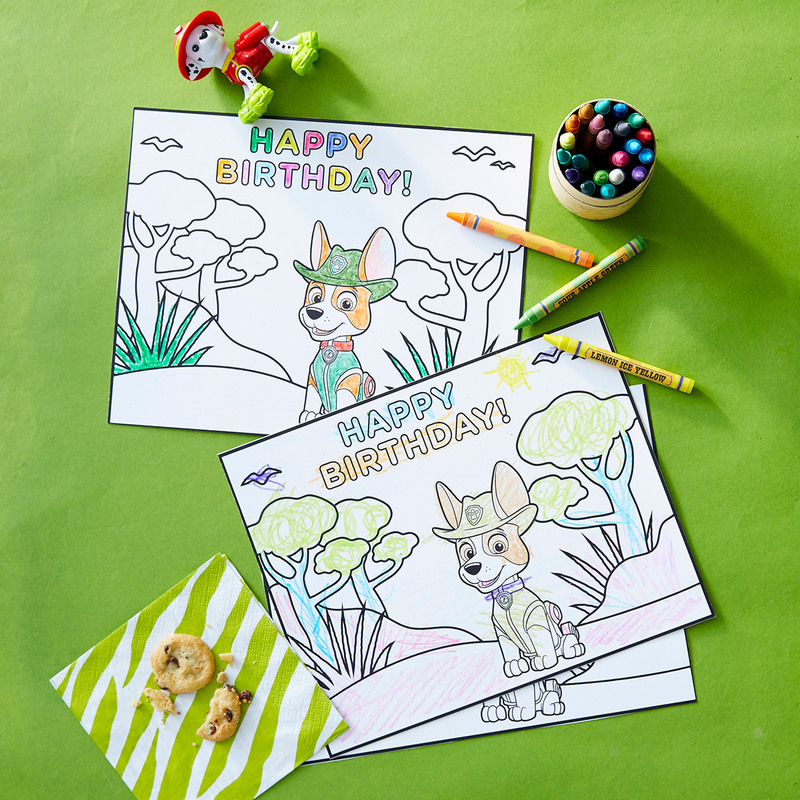 When all party pups are ready to leave the jungle, you’ll want send them home with their tails wagging. 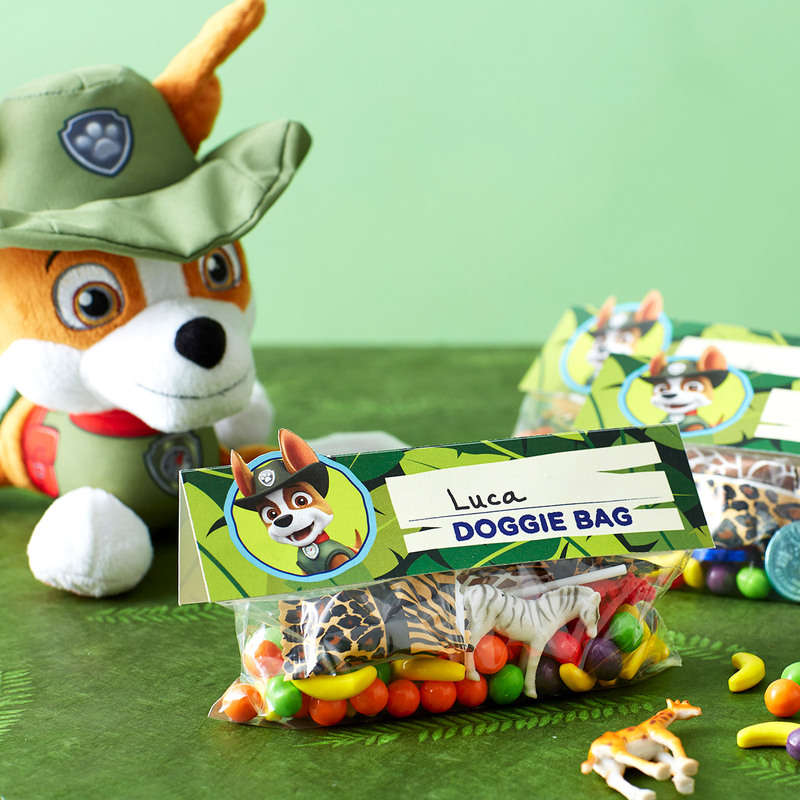 Before the party, make sure to print and cut these goody bag toppers and use them to seal cellophane bags to create the perfect personalized doggie bags. 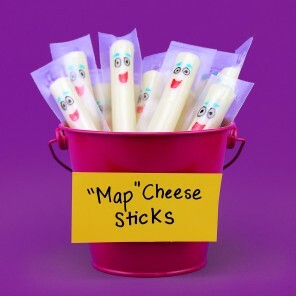 Looking for a way to keep kids busy and mess-free while you’re in the kitchen prepping the snacks? 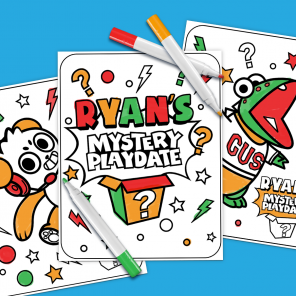 Break out the crayons and bring on the coloring fun with this Tracker coloring page! 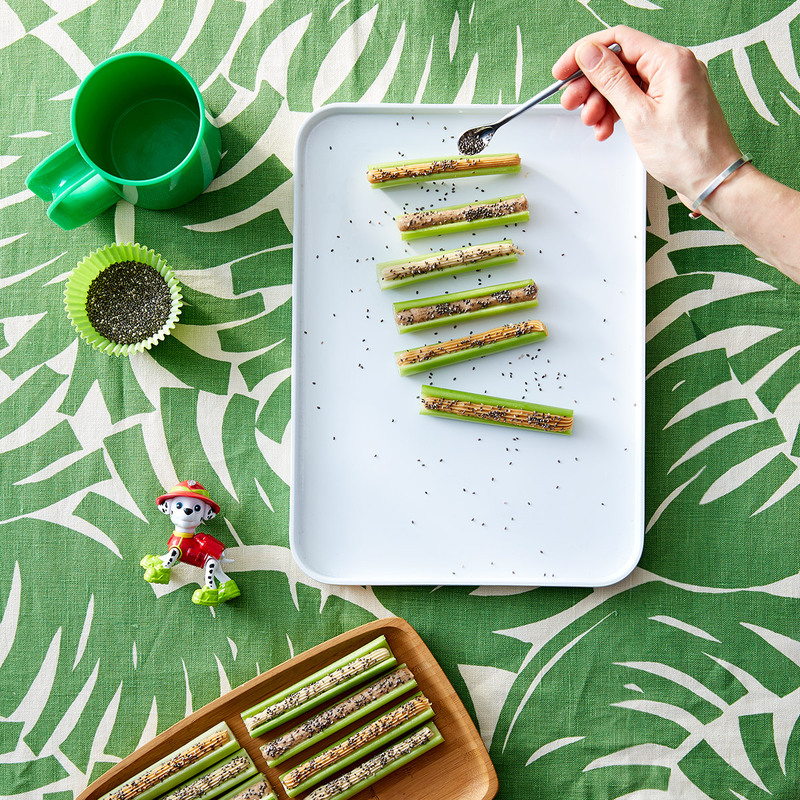 Hungry jungle party animals can fill up on this modern, easy take on ants on a log: celery, nut or seed butter, and chia seeds. 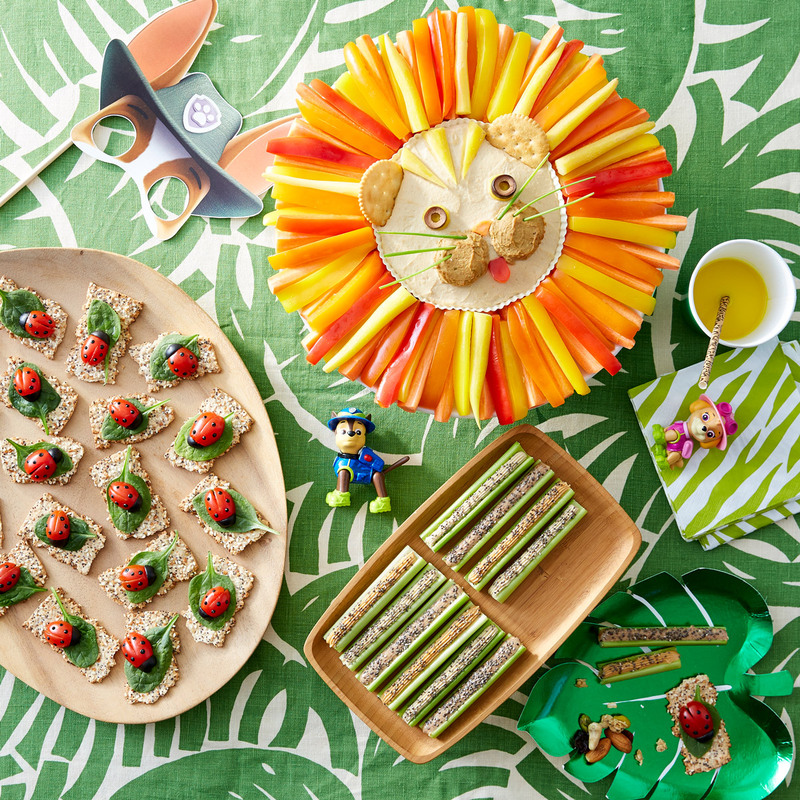 Ladybugs on a log (tomatoes, olives, spinach, on crackers) and laughing lion crudité (peppers, carrots, and hummus) are equally creative approaches to a healthy, jungle-themed snack. 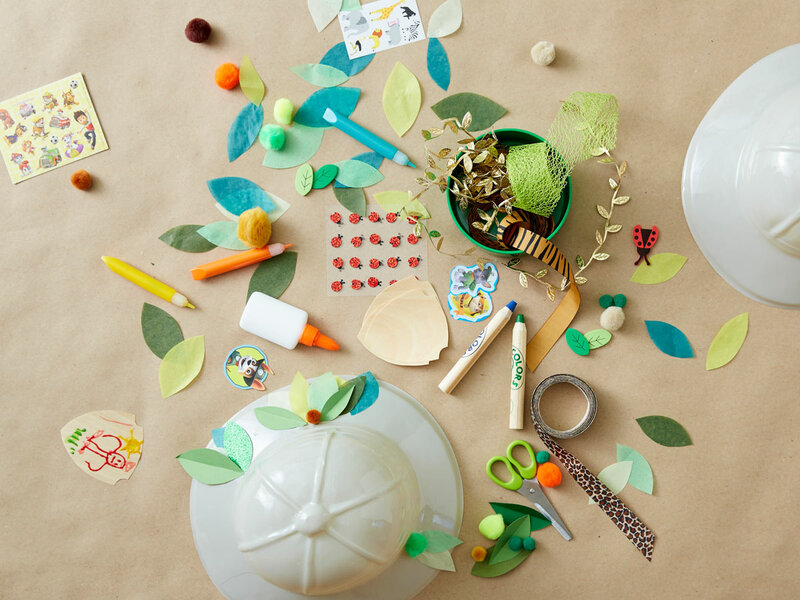 After the three C’s: cake, cupcakes, and cleanup, give your self a serious pat on the back. 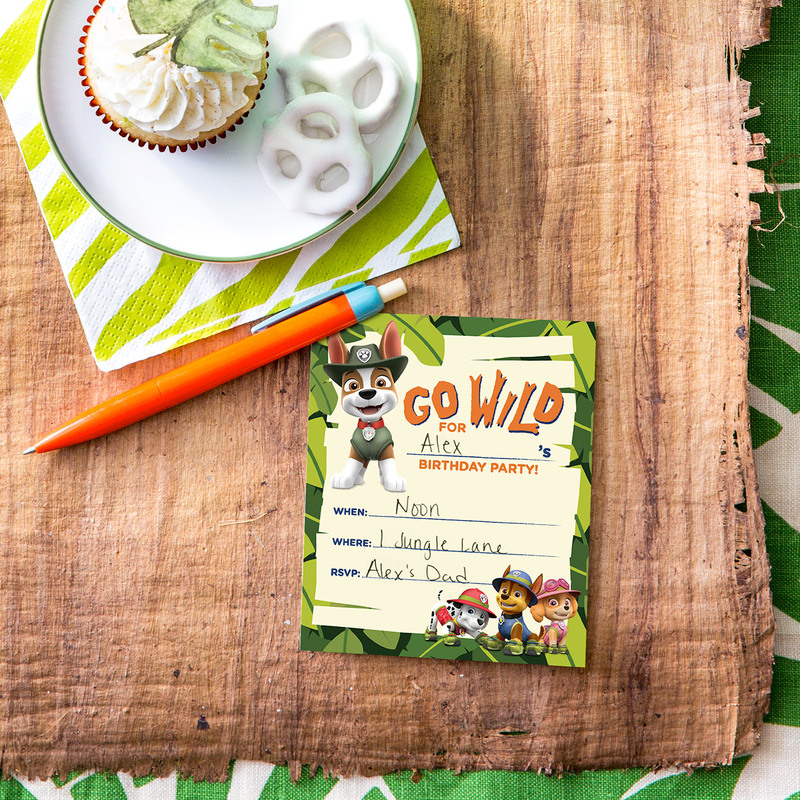 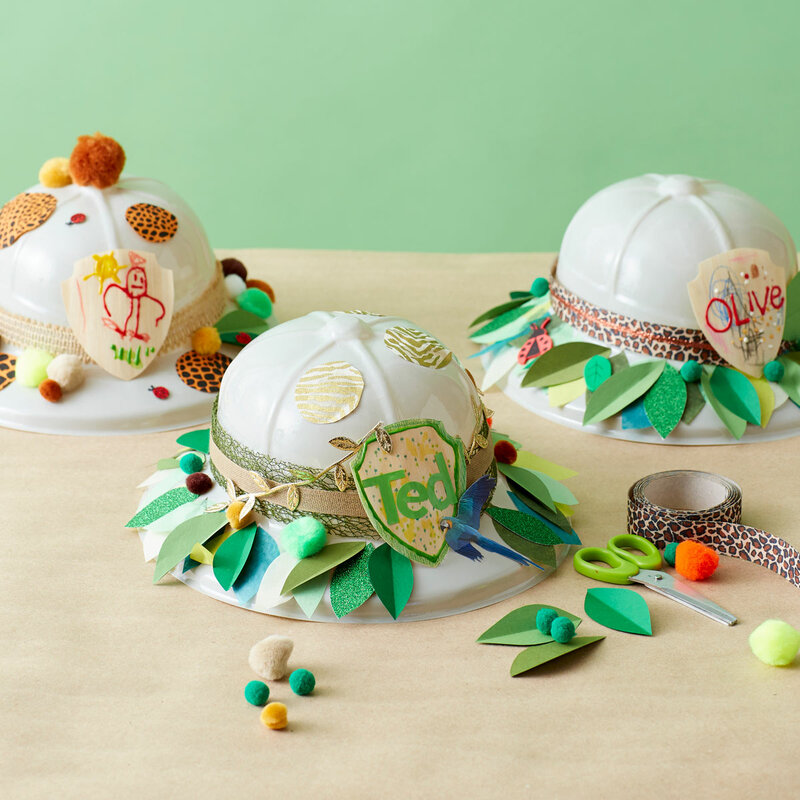 Your child may have been the birthday animal, but you’ve earned your title as queen or king of the jungle!